I love touching different fabrics and I love how a simple solid color item can have so much detail when texture is applied. Enjoy! Posted byannejacksonstylist March 22, 2018 February 28, 2019 Posted inUncategorizedTags: Boulder Fashion Stylist, St. Louis Fashion StylistLeave a comment on I Love Texture! This is one of my favorite spring looks. It ticks all of the boxes… denim, comfy shoes, large bag, classy checks, stylish jacket and ruffles! This is a great time of year. The parties are starting and there are lots of opportunities to get dressed up and feel great about yourself! Here are a few of my favorite new quick picks for Fall. 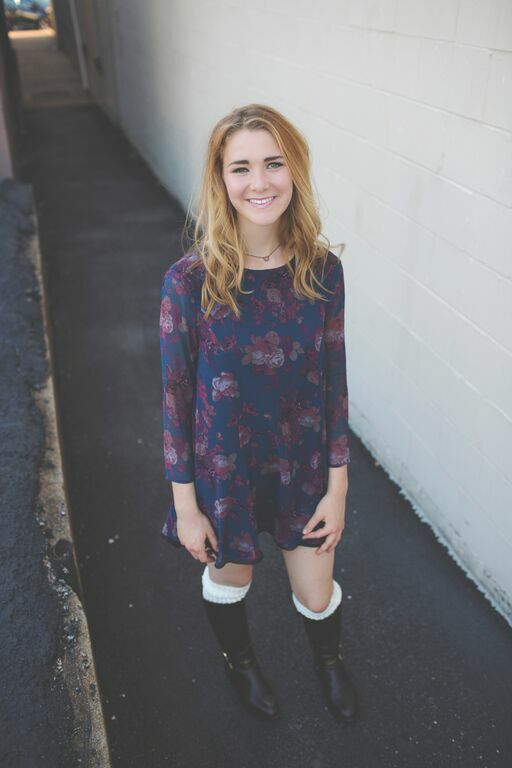 I love styling seniors straight out their closets. It’s fun digging through and finding all the right pieces that speak to their individuality and help them feel confident and beautiful! Would you love to get tips on… How to dress your body type? How to organize your closet? How to style the latest trends? What are the must haves you should have in your closet? Would you like to sip vino and enjoy hors d’oeuvres while doing so? 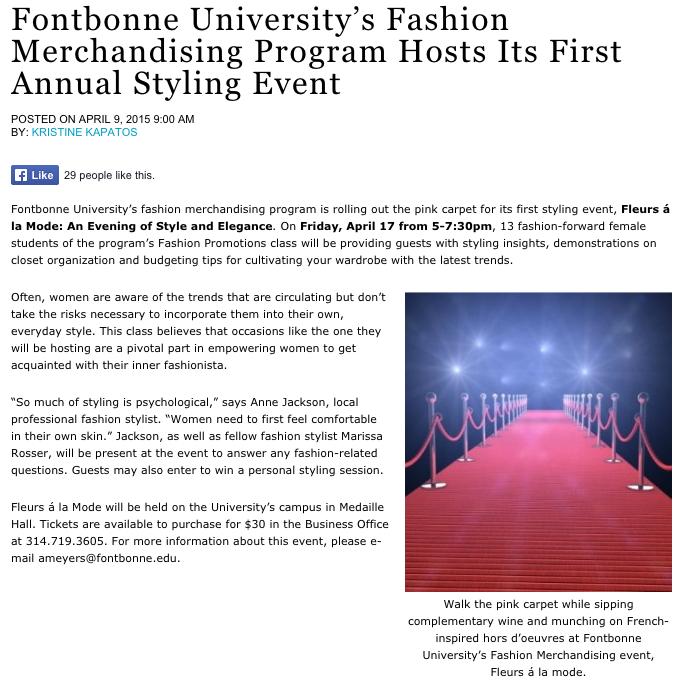 Then join me on Friday night April 17th at Fontbonne University to support the Fashion Merchandising students and support Style! Tickets are $30 and you will be registered to win one of two Wardrobe Consultations with me! Call 314-719-3605 to purchase your tickets. Click here , here or here for more info.